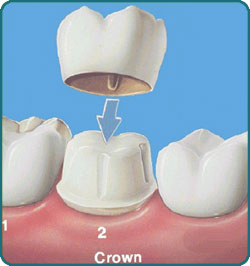 Crowns are a type of dental restoration which, when cemented into place, fully cover the portion of a tooth that lies at and above the gum line. 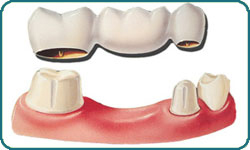 In comparison, fillings are dental restorations that fill in or cover over just a portion of a tooth. Since dental crowns encase the entire visible aspect of a tooth, a dental crown, in effect, becomes the tooth's new outer surface.